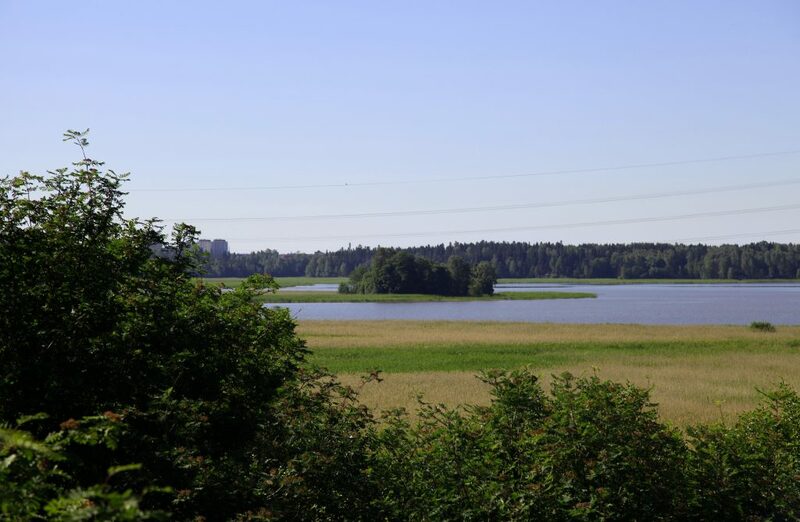 Vanhankaupunginlahti is a eutrophic bay, the water quality of which has been affected by numerous factors over the years, such as domestic wastewater and nutrients from cultivated lands washing down the river Vantaanjoki. Vanhankaupunginlahti was at its most eutrophic in the late 1970s and early 1980s, when the bay’s waters were rich in nutrients and the numbers of phytoplankton feeding on them were at their highest. Wastewater purified at the Viikki and Kyläsaari water treatment plants used to be drained into Vanhankaupunginlahti, but this practice was discontinued in 1987. While this has reduced nutrient levels in the bay and improved water quality, Vanhankaupunginlahti remains one of the eutrophied parts of Helsinki’s sea areas. Nowadays the bay’s greatest nutrient sources are the farmlands located along the shores of the river Vantaanjoki and the dissolving nutrients contained in the bay floor. The numbers of phytoplankton are at their highest in Vanhankaupunginlahti in the warm and sunny summer period from June to August. Since the bay’s nutrient load started to decrease after the mid-1980s, the numbers of phytoplankton have also begun to clearly decrease. The salinity of the waters of Vanhankaupunginlahti varies. The bays waters are a mix of brackish water from the Gulf of Finland and fresh water from the river Vantaanjoki and rainfall. The average salinity of the bay’s waters is 2 ppt, which is very low compared to the average salinity of the Baltic Sea as a whole, or that of oceans. A large portion of the Vantaanjoki river basin consists of fields, which release clay into the river water, increasing the turbidity of the bay’s waters. During the summer, Secchi depth in the bay is usually only 20–30 cm. The bay is shallow, having an average depth of only 1.4 m. The bay floor is composed of soft silt containing plant waste, which is churned by the waves in shallow areas, increasing the turbidity of the water. Exceptional weather conditions have in recent years caused temporary changes in the water quality of Vanhankaupunginselkä and the nature reserve. In the summer of 2004, the river Vantaanjoki flooded heavily as a result of heavy summer rains. In January 2005, the water level rose to record heights, +151 cm. Because of the high water level, the wastewater tunnel in Katajaluoto became temporarily unusable, as a result of which a total of 166,000 m³ of partly purified wastewater had to be drained into Vanhankaupunginlahti over a period of three days. Since the water level was so high, some of the wastewater flowed over the protection embankment of the nature reserve’s old wastewater treatment plant’s drainage ditch. The impact of the wastewater was visible in the ponds of Pornaistenniemi for several weeks in the form of elevated levels of faecal bacteria, for example. The long-term impacts are as of yet unknown.